When Woody Allen asks for something in Hollywood, Woody Allen usually gets it. That’s why Amazon committed to a full season of his first-ever foray into TV before learning of any details, and why his upcoming film Irrational Man didn’t even earn a title until post-production. Now, Deadline reports that Allen has a new untitled film with zero plot details—presumably one of the director’s signature sci-fi/action hybrids—in the works. Jesse Eisenberg, Bruce Willis, and Kristen Stewart have been hand picked to lead the cast of the film, which will be produced by Allen’s usual collaborators Letty Aronson, Stephen Tenenbaum, and Edward Walson. 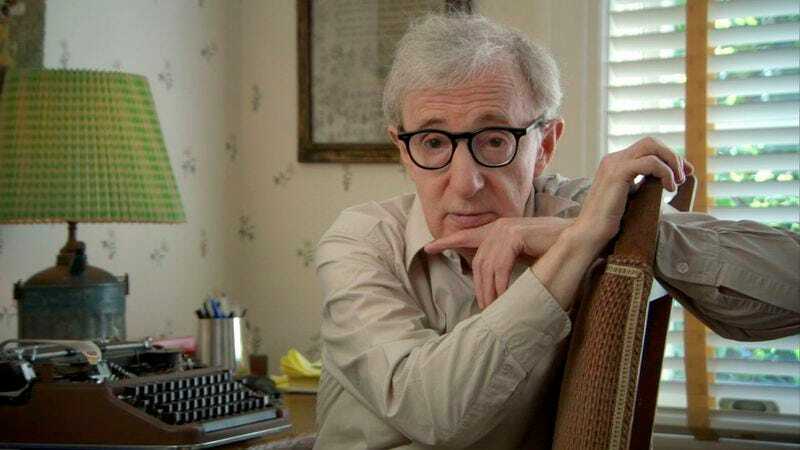 To entice the actors to sign on, it’s not clear if Allen showed them a script or just called them up (on a rotary phone, naturally) and said, “This is Woody Allen.” Probably the latter.